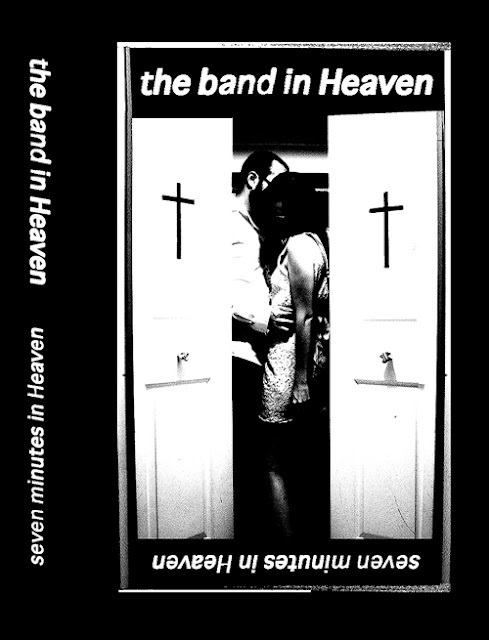 Orlando by way of West Palm Beach The Band in Heaven who I recently caught opening up for The Crocodiles at The Vagabond (were I spin weekends) contacted us about their latest release 'Seven Minutes in Heaven'. Literally 2 tracks which clock in at 7 mins. They are releasing it as a cassette version and digital download. The two tracks couldn't be more different from each other. The first track "Sleazy Dreams" is a hard rocking number that would make Black Rebel Motorcycle Club proud and the second track "If You Only Knew" is a much slower shoegazey affair with some middle eastern flair. Digging them both! They are giving away "If You Only Knew" as a free download that you can check out below and you can hear the other one on their bandcamp page. A great band that is showing tons of potential and should definitely be on your radar. Let's hear it for them rocking Florida bands making a splash on the scene!